Two or three interesting but unrelated news items here: the first, a Little Falls Herald clipping from 1898 that would have been a result of the Spanish-American war heating up. 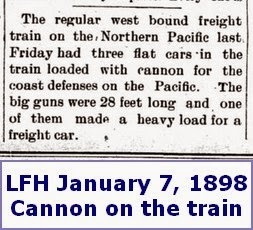 It's stunning to imagine three flat cars with a huge cannon on each rolling thru Little Falls. At the time, America was fighting with the Spanish off both coasts (or thought we were). 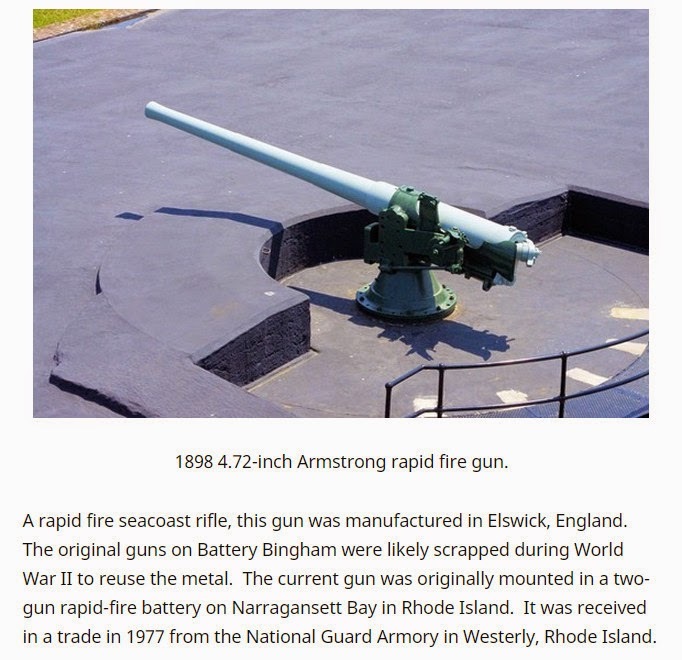 With over 4,000 miles of coasts and a number of large cities there, big guns were made and expedited. The closest photo I could find online was this one from a collectors website. It looks like it could be 28 feet long, I suppose. It's definitely still impressive over 100 years later. 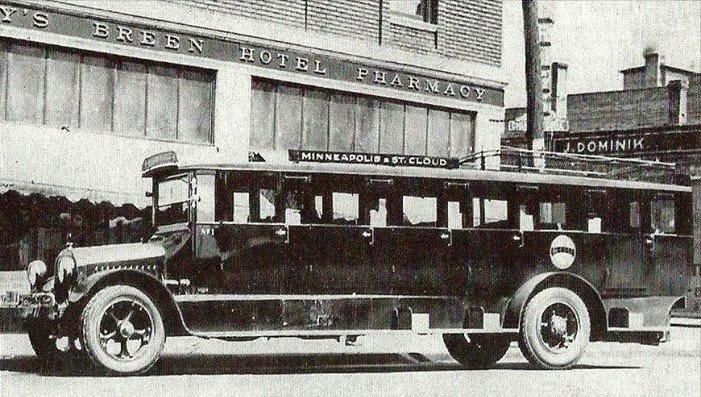 From a Facebook page called "St Cloud Remembered" comes this 1928 photo of the bus you could take to and from the cities. It's parked in front of the Breen Hotel, later the Germain Hotel. The businesses we'd remember from that corner were a Fanny Farmer candy shop, and an optician around the corner. Q: What cafe was right across the street in the building hidden by the back of the bus? YAY! It was Enga's, yes☺ Beyond the satisfaction of KNOWING, you win the usual prize--oh, hell, I'll even go twice the usual prize. Congratulations! Your sister is awfully jealous that I won this contest, but thinks you are stingy in staying with the doubling of the prize these last few competitions. She thinks you should triple it, and I have to agree. How else are you going to increase your internet reach?